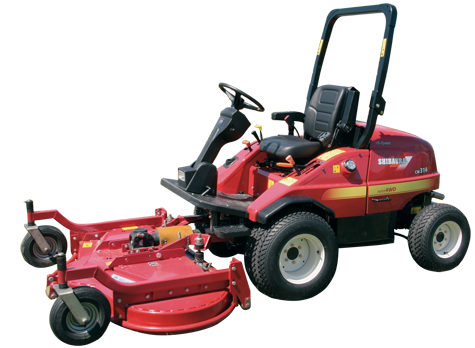 For CM and SX models we can supply original Shibaura rotary mowers. You can choose between various work widths (depending on the type of tractor) and they are available as side unloader and mulch deck. The mowers are driven by a universal joint axis from the middle power take-off of the tractor, which is standard on all hydrostat models. The mower can be quickly mounted without using any tools, due to a unique quick-acting closure of the mower. 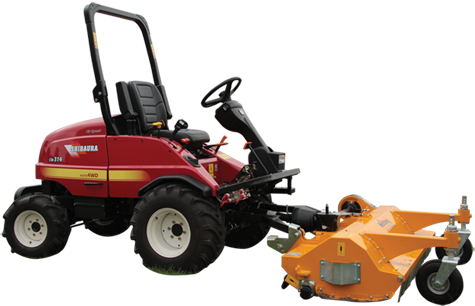 For the models from the CM series, Shibaura supplied front rotary mowers. For the tractors, assembly takes place at the Shibaura frontlift system and it will be powered by means of the front power take-off. 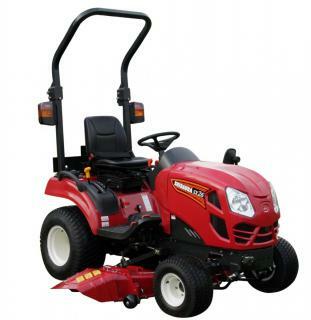 Front rotary mowers are available in various working widths, and also a side unloader, rear unloader and mulch mower. Deze geprinte pagina is op zaterdag 20 april 2019 om 12:14 opgevraagd. Houd er rekening mee dat de publicatie inmiddels kan zijn bijgewerkt. Aan de (on)juistheid van de informatie in deze (geprinte) versie kunnen geen rechten worden ontleend.